I didn’t have a love at the first sight affair with short fiction, I grew into it over the years. At first the small allocated space seemed to frustrate my desire of emerging into the stories and creating a bond with the characters. However, I discovered that done right short stories delivered those with the same efficiency as longer fiction and even offered their twists and turns, their bangs and punches at a faster rate. Not to mention that I find myself more often re-reading a favorite short story than a novel. So I became quite fond of short fiction. Caught between short stories and novels novellas seem to fare better on the market than the former and less than the later, but they are certainly another appealing form of fiction. And since some of the most rewarding reading experiences I had in the past several years came from novellas I welcomed without restraint Prime Books’ initiative of launching an annual series of anthologies dedicated to science fiction and fantasy novellas. 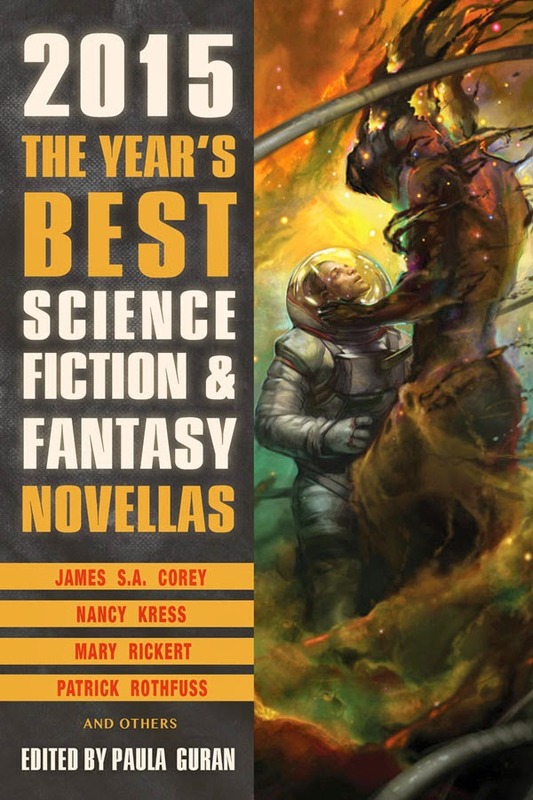 The first edition gathers, as it’s the case lately with all the year’s best collections, some of the fiction published online, but since I am not always able to catch up with them “The Year’s Best Science Fiction and Fantasy Novellas: 2015” gives me the chance to find them in a volume. That without mentioning that being a fan of K.J. Parker the presence of the author’s name on any table of content is enough to sell me that particular collection. Therefore, I am looking forward to read Paula Guran’s “The Year’s Best Science Fiction and Fantasy Novellas: 2015” and I am keeping my fingers crossed for this series to run as long as possible. The Year's Best Science Fiction and Fantasy Novellas: 2015 inaugurates a new annual series of anthologies featuring some of the year's best novella-length science fiction and fantasy. Novellas, longer than short stories but shorter than novels, are a rich and rewarding literary form that can fully explore tomorrow's technology, the far reaches of the future, thought-provoking imaginings, fantastic worlds, and entertaining concepts with the impact of a short story and the detailed breadth of a novel. Gathering a wide variety of excellent SF and fantasy, this anthology of "short novels" showcases the talents of both established masters and new writers.